I have a slightly shameful secret. Self-proclaimed lover of all things sweet, there is a thing that is universally liked, or so it seems… but I don’t like it. And that thing, is cheesecake. I want to like cheesecake. I like the consistency; I like how they look; but I don’t like the almost buttermilk-like tang of the cream cheese in baking. I just don’t like it. Sigh. Preheat your oven to 175˚C / 350˚F. 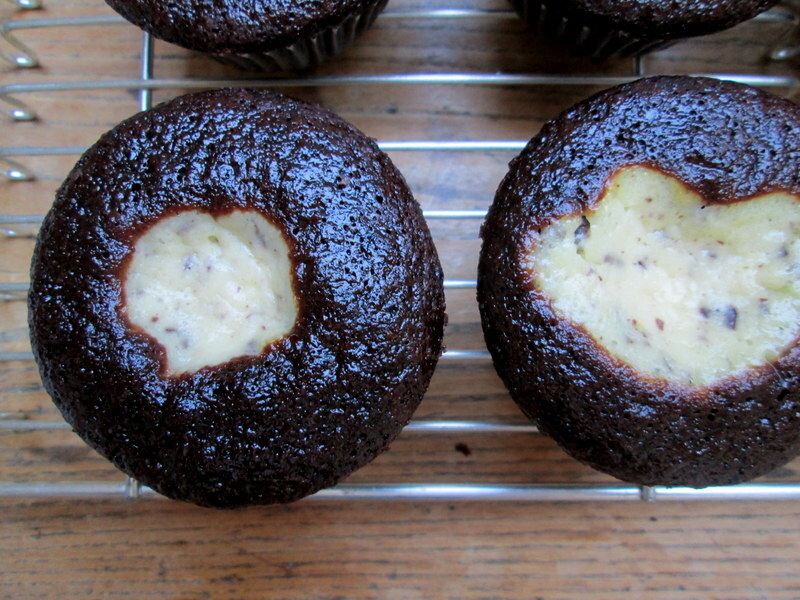 Line a 12-cup muffin or cupcake tin (and keep another one handy in case you have more batter, like I did). 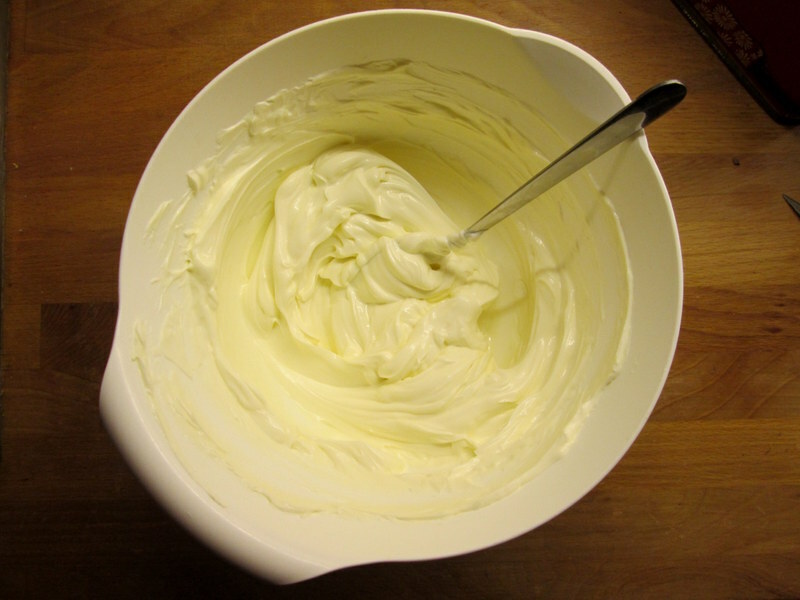 Make the filling by beating the room temperature cream cheese, the egg and the sugar with an electric mixer until smooth, about 30 seconds to a minute (remember to scrape down the sides of the bowl at least once). 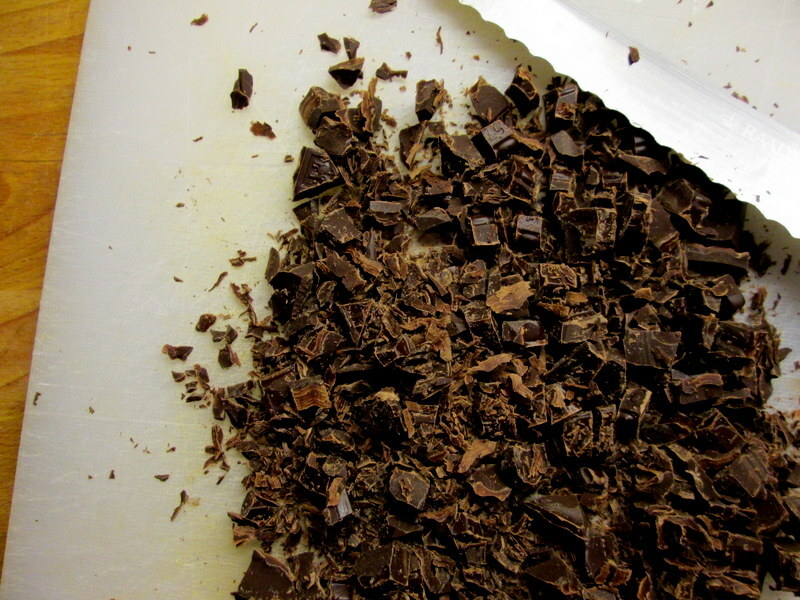 Stir in the chocolate chunks and set aside. 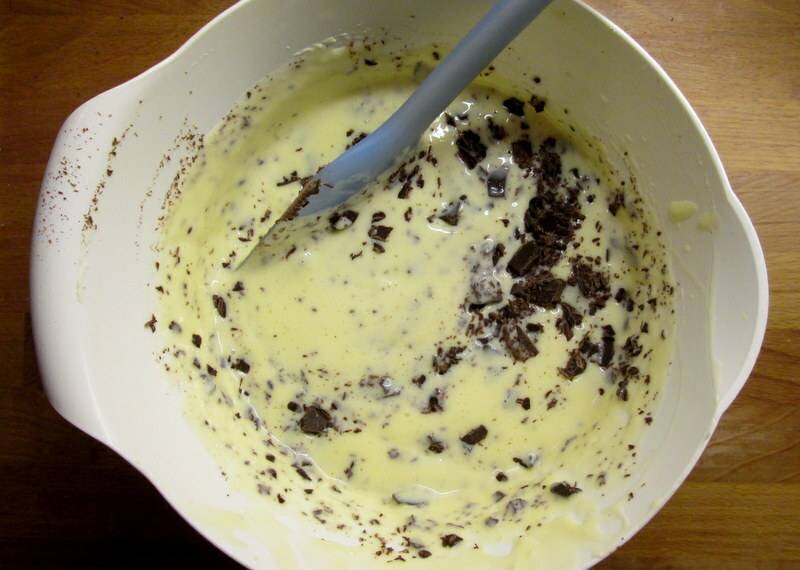 Sift together the flour, cocoa, baking soda and salt into a large bowl. Mix the water, oil, vinegar and vanilla in another bowl, make a sort of well in the dry ingredients, pour in your wet ingredients, and stir with a whisk just until the batter is smooth and everything is combined (never over-stir cake batter, as the cake will become too elastic and chewy when the gluten in the flour mixes with the liquid ingredients in the batter). 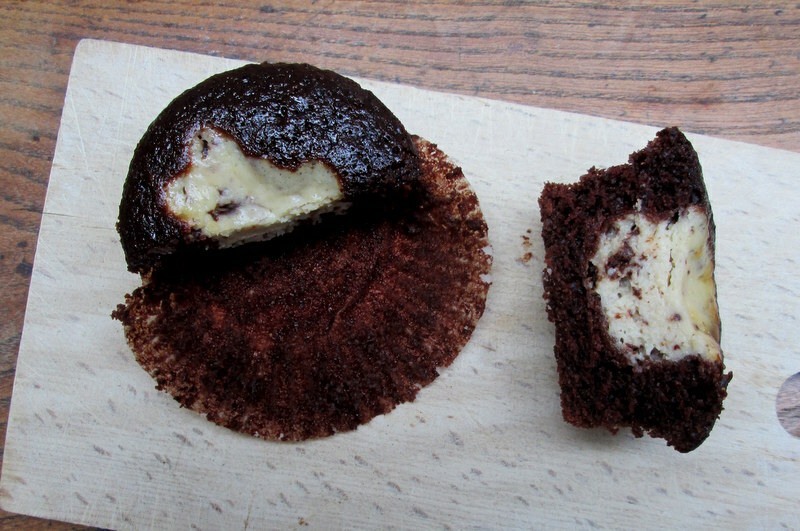 Scoop the batter into your cupcake tin, filling each cup a little more than two thirds. With two teaspoons, spoon the filling into the centre of the cupcakes; I used about 3 tsp per cupcake, one at a time as I went around the pan, to allow the first spoonful of filling to sort of sink in a little before adding the next. I had a bit of filling left over, but Maya ate most of it. Bake for approximately 25 minutes, until the cupcakes start to get golden on top and don’t feel wobbly when you press down on them (gently!). 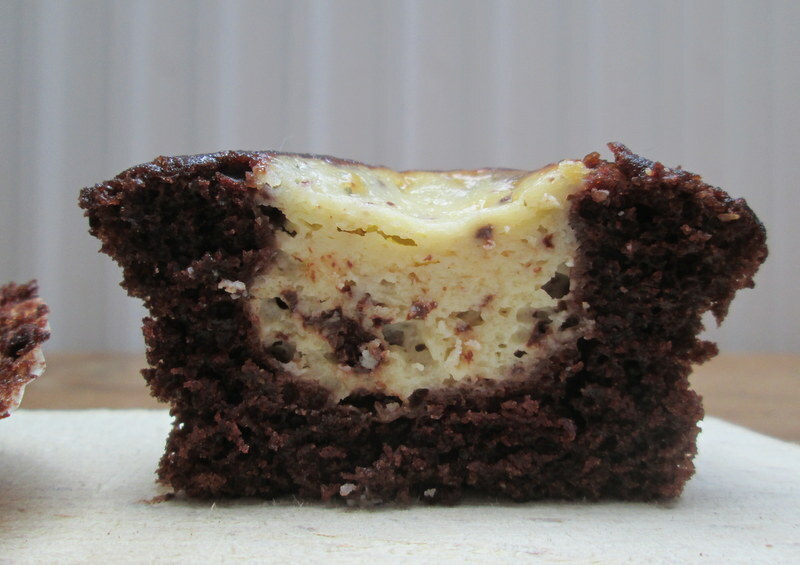 Leave to cool before eating, and keep in an airtight container/cake tin for up to three days.